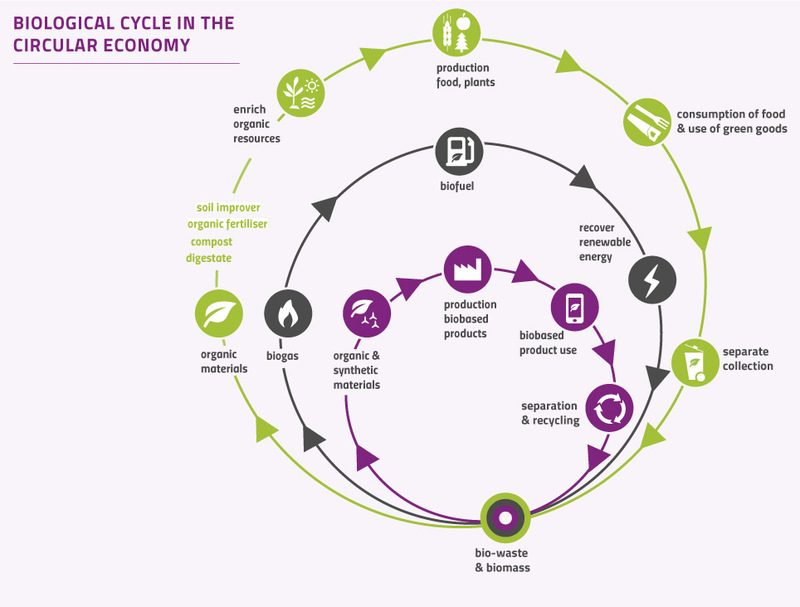 In a circular economy, bio-waste is not landfilled. Instead, it forms a resource for organic soil improvers, fertilisers, growing media component and bio-based products. The carbon and nutrient contents of bio-waste are mainly concentrated in organic fertilisers, soil improvers and growing media, or can be extracted, modified or transformed into a range of different bio-based products, too. All these secondary products can replace fossil-based products such as mineral fertilisers, peat and fossil fuels. After use, the residues of these products can flow back safely into the biosphere, thereby closing carbon and nutrient cycles.